We now accept credit cards online via PayPal by clicking below. Donors may also donate by mailing checks, money orders, and gifts, to: 432 Magnolia Avenue, Panama City, FL 32401, and by dropping off donations at our front desk. Offers of donation or assistance can be made by calling Sharron Hutchison at 850-785-1088 x 135. Items can also be brought to 432 Magnolia Ave. in downtown Panama City, FL. BASIC NWFL, Inc is a non profit organization that continuously strives to meet the needs of its clients. Sometimes, we are need of items necessary to aid our clients or the agency. We ask people in the community for help so we don’t have to use valuable dollars that could rather be used to help extend the number of clients we can serve. Personal care items such as soaps, shampoos, Kleenex, new socks, underwear, towels, etc for our clients’ personal care closet. Through Southern REACH, twenty-seven community-based organizations— including BASIC NWFL—in the U.S. South have developed innovative and effective advocacy projects that protect and advance the health. 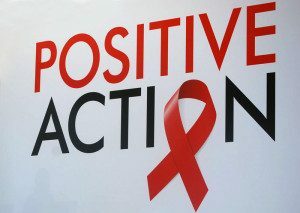 and wellbeing of people living with and impacted by HIV/AIDS. BASIC NWFL is a United Way Charity with identification numbers of 7075 (Bay), 1075 (Calhoun), 6075 (Gulf), 8075 (Holmes), 4075 (Jackson) and 5075 (Washington). BASIC NWFL is also part of the CFC (Combined Federal Campaign) and the identification number is 58826. To view a list of our other major sponsors and contributors, view our annual reports.